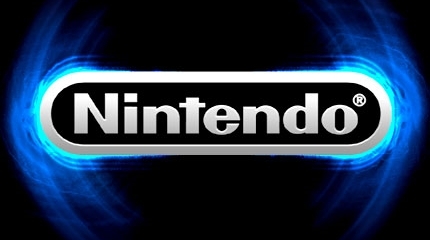 Following nearly two months of rampant speculation, Nintendo took the wraps off their successor to the Wii console. Formerly known as Project Café, the new system is now officially called the Wii U. Why such a strange title? Nintendo isn't saying - yet - only that just as with Wii before it, it will conceptually make more sense sometime in the foreseeable future. While few details were given regarding technical specs, anticipated launch titles, or pricing, Nintendo did have a few small tidbits of information to share about the new console. Foremost of this information was the reveal of the new controller - which, at its core, is a 6.2" touch screen panel housed in a plastic casing. Much like its predecessor, the Wii U's controller sports an innovative design, which, Nintendo hopes developers will take advantage of to create new and compelling game experiences. As we close in on E3 the rumor mill has begun to spin at an extremely high speed, with tentative details literally spewing from ever source imaginable. IGN's gear-head Scott Lowe received some very juicy details about Nintendo's forthcoming console, currently codenamed Project Cafe. According to "sources with knowledge of the project", it looks like we might be seeing the new console this holiday season, possibly as soon as October. However, it's possible that Nintendo may play it safe by waiting for a legitimate amount of launch titles to be ready to go as well as have a robust inventory of systems built up to be able to handle the initial launch-period rush. If the latter is true, an early to mid 2012 launch is reasonable. Price-wise, expect to shell out at least $350, but don't be surprised to see a price tag that is a bit more hefty, even closer to $400. Aside from a vague date and price, IGN was able to obtain some substantial information on the tech behind Project Cafe. As for hardware, the console is said to feature an overhauled AMD R700 series GPU, which is still stated to be able to "out perform the PlayStation 3's NVIDIA 7800GTX-based processor."